But wait! After reading the below list of best freeze dried food, your above misunderstanding will get clear. So, let’s begin the article! 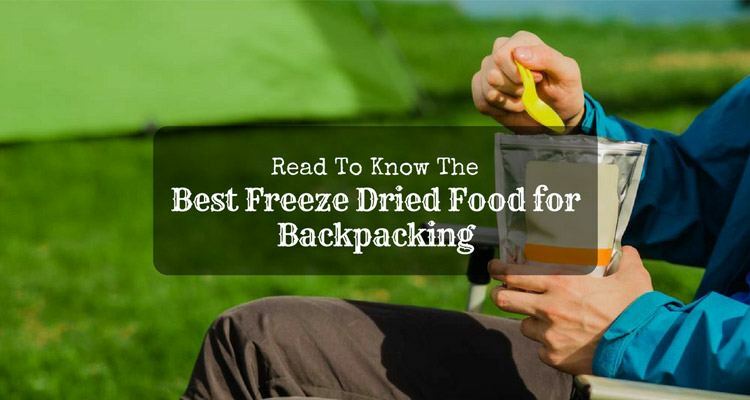 Why Should you Carry the Freeze Dried Food during the Backpacking? Shelf Life: The manufacturers of the product claim that it possesses a shelf life of 25 years. What I like the most about the food packaging is that it is a multi-layer pouch with a heavy duty covering. In fact, there is an oxygen absorber also present inside the packaging. Nutrition: It offers you ten servings. Every single serving weighs 57 grams, and you will fetch around 260 calories from it. It provides you 1 g fiber and 11-gram protein. The thing which I like the most about the product is that it has a very low-level of sodium, i.e., around 800 milligrams. Usually, lots of dried foods have a high-level of sodium which is harmful to our health. Ease of Use: I took only 8-9 minutes time for cooking this food in the pouch. It rehydrates quite well and does not leak out when sealed properly. 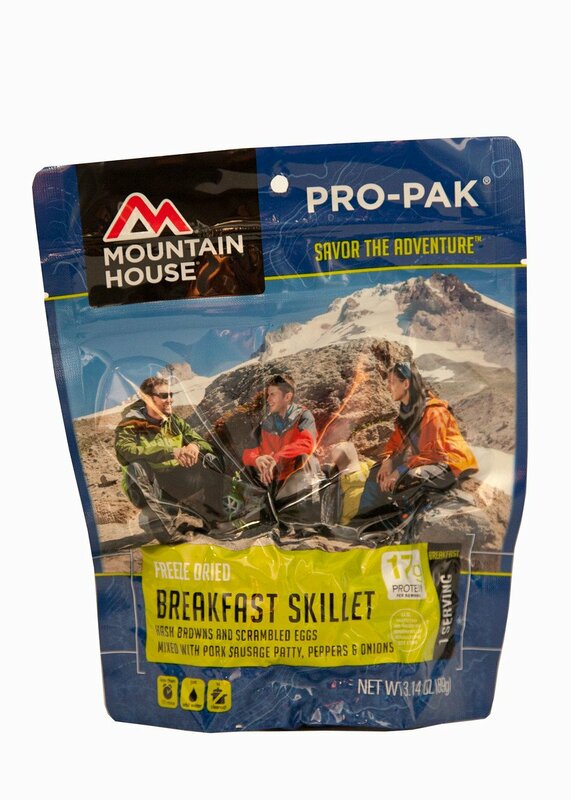 It is durable and reasonably lightweight freeze dried food. It possesses a long shelf life of 25 years which do not change the taste of the food at all. The flavor and the taste of the noodles do not have any metallic taste in the end. The meat does not get fully rehydrated. Shelf Life: It is a vacuum sealed pack which that does not expand at the time of high altitudes. It comes with the shelf life of 12 years. I usually go on long adventurous trips for several days, so this product is going to be very useful for me. Nutrition: It offers lots of calories, i.e., around 500 in one cup servings, so I think the best time to consume this food is in the morning time. Till the lunch time, your food will get digested quickly. It provides you 5 g fiber, 38 gm carbohydrates, and 17-gram protein. The amount of sodium is quite high in it, i.e., around 1170 milligram. Ease of Use: It is one of the best-dried freeze foods to eat in the morning time. One my backpacker friend likes to eat hot food in the breakfast, and this mixture of scrambled eggs, hash browns, and pork patty amazed her a lot. The preparation of the food is easy. It is a salty freeze dried food to eat. It tastes like scrambled egg soup. 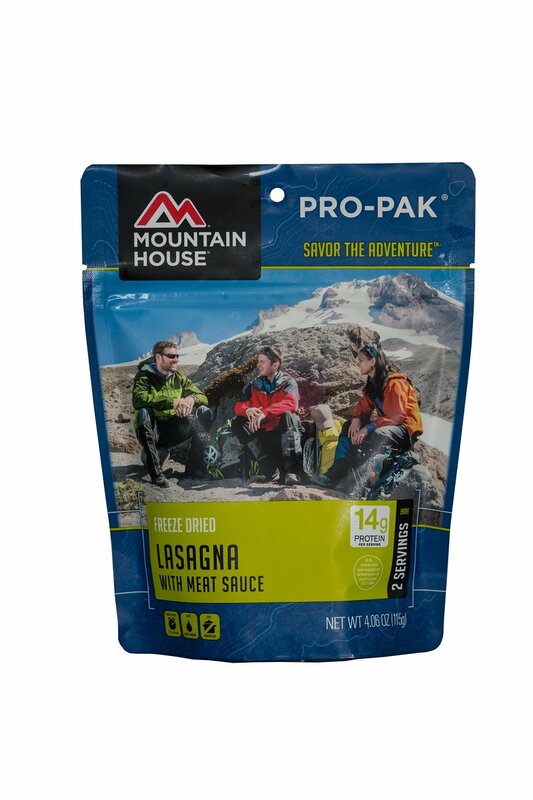 Shelf Life: It is one more fantastic product from the Mountain House that comes in the compact and sealed pouch. The manufacturers give the guarantee of 30 years on the taste, and the product has a shelf life of more than 12 years. You get two 1 cup servings in the packaging which is enough I think enough for two people. Nutrition: The 1 and ¼ servings of the food weigh around 54gm. 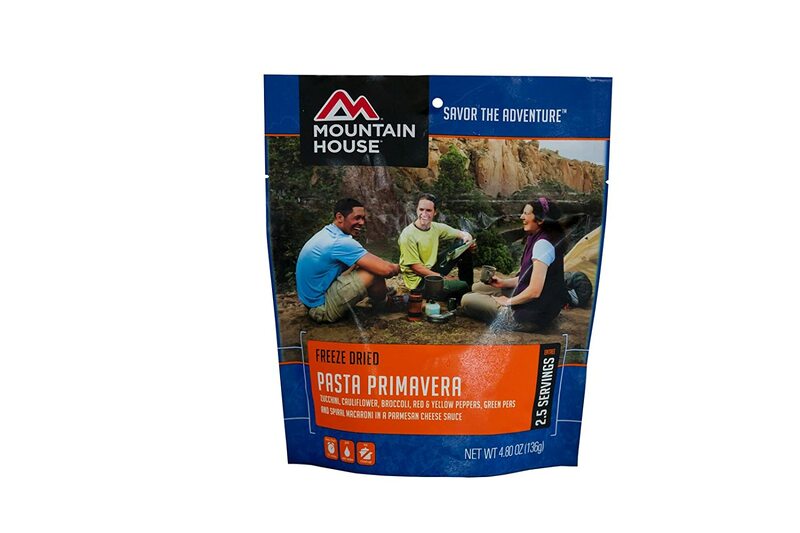 I love Italian food and this freeze dried food fulfilled this desire on my backpacking tour. It offers you 240 calories and 3 gm fiber. But if you are allergic to soy, wheat or milk then, this food is not right for you. Ease of Use: I found it very easy to make this freeze dried food. Just pour in the water, and the food is ready. 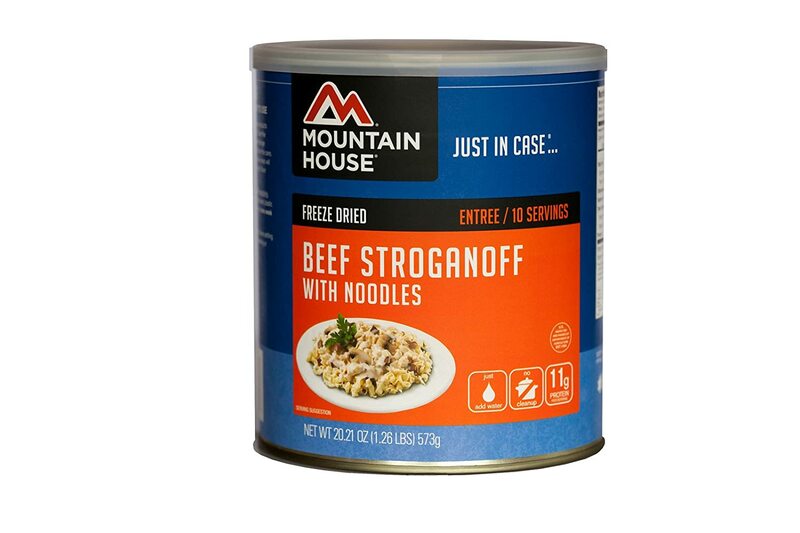 It is an excellent taste best freeze dried food which can compete with the microwave meal. It keeps you energetic and full after the consumption. It is a good emergency food. It cannot compare with the authentic lasagna. Shelf Life: In the packaging of the product, you get two and 1/2 one-Cup servings which are adequate for two people group. It has a shelf life of more than 12 years. Nutrition: It is a freeze dried food that contains rice, pork, green, onions and red peppers which stifle in the delicious sauce of pineapple that gives you 290 calories in 1 and ¼ cup. At the end of my day, this food satisfied my hunger completely. It has 1 gm fiber and 12 gm protein. Ease of Use: Maximum number of rice freeze dried foods needs more time for the process of rehydration. Same thing happens with this food also. So, if you don't want crunchy rice then do longer rehydration. The pouch manufactured from the highly durable material along with the zip lock at the top. The packaging is enough for one person. It has more quantity of rice. It has a sweet flavor. Shelf Life: It comprises of the two servings in one container. The taste of the food guaranteed for thirty years by the company. 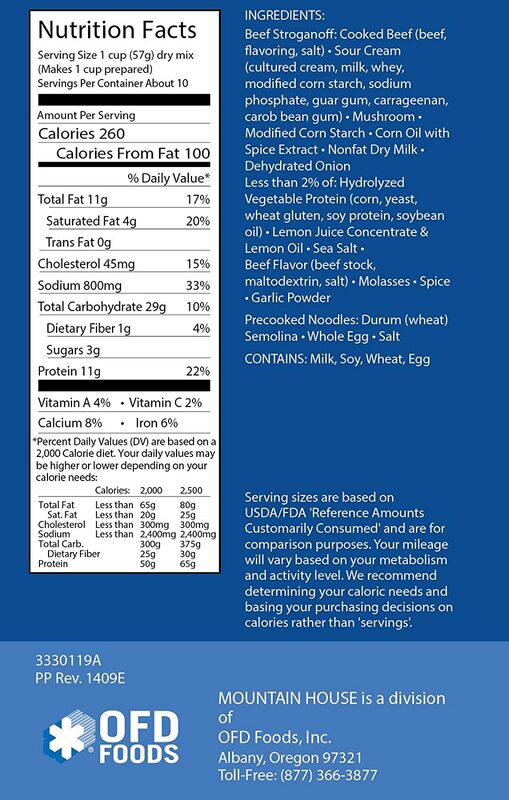 Nutrition: In one cup serving of 66 gm, you get 310 calories, 2 gm fiber, and 15 gm protein. It is an entirely satisfying meal that comprises of the peas, carrots, diced chicken and dumplings in the gravy of the chicken. One small tip from my side is that you can add pepper to increase the overall flavor of the food. I found the vegetables quite fresh. Ease of Use: It gets prepare very quickly. I just add water in the pouch, and the food gets ready in only 9 minutes. What I like the most about the product is that I do not have to do any clean up later. The dumplings and chicken are astonishingly creamy and delicious. 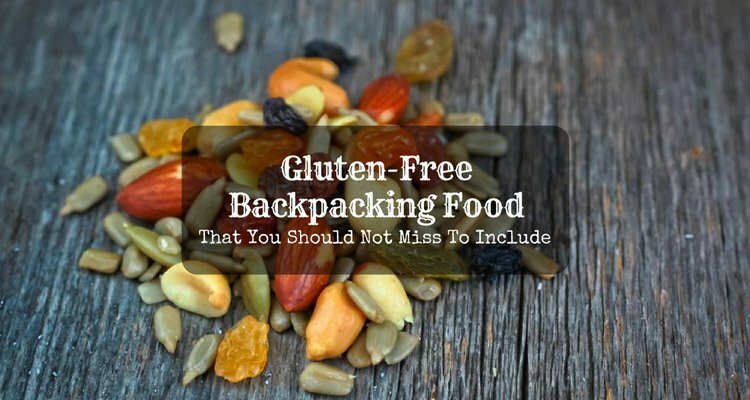 It is a lightweight backpacking food. The portion of the dumplings in the food is quite less which might not satisfy your hunger. 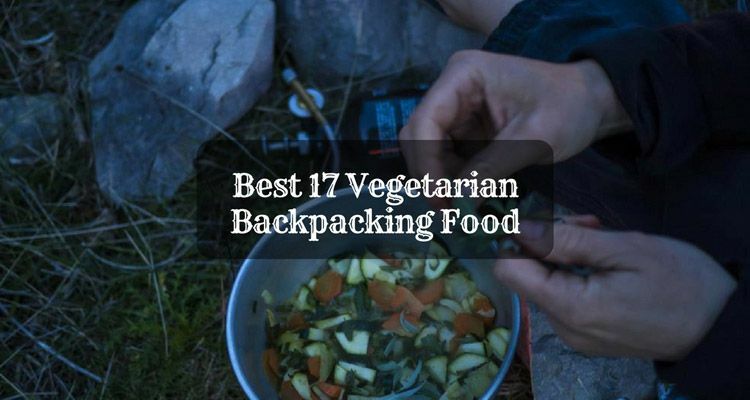 Few of my friends on the backpacking trip were vegetarian also. So, I have also reviewed some of the best vegetarian freeze dried food. Please go through once! Shelf Life: The packaging of the product comprises of the 18 zip pouches that are resealable. The total weight of the product is 4.5 pounds in which you will get more than 70 servings. Nutrition: The main highlight of this vegetarian freeze dried food is that it is a gluten-free, non-GMO, vegetarian and high protein food. In every single pouch of the food, you get 1 cup of nutritious vegetables like Cabbage, Broccoli, Celery, Carrots, Green Beans, Corn, Bell Peppers, Tomatoes, spinach, etc. 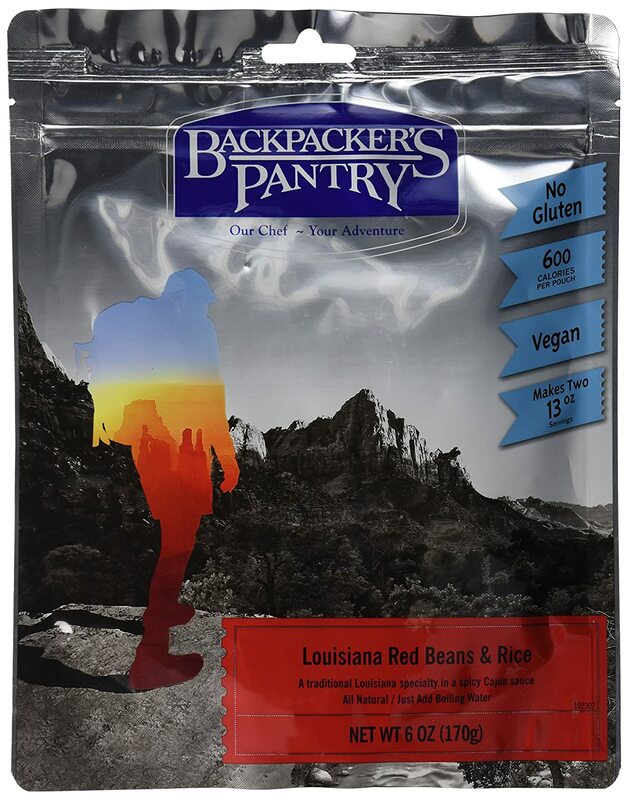 Ease of Use: It is a lightweight backpacking meal that comprises of the lentils, dried vegetables, and beans. I just add boiling water to it and leave it for 10 to 15 minutes to get ready to consume. The veggies taste quite fresh. It is available at the reasonable price on the market. The veggies take lots of time for rehydration. For better texture, you must cook it in a pot with a lid. Shelf Life: This vegetarian freeze dried food comprises of spiral macaroni, Zucchini, broccoli, cauliflower, green-beans and red-yellow peppers. You get servings of Two and a Half 1-Cup in it. The company guarantees the taste for thirty years. Nutrition: In 1 cup serving of 54 gm, you get 580 gm sodium, 2 gm fiber, and 7 gm protein. It has healthy and nutritive foods like broccoli, green beans, and cauliflower that give you 210 calories. Ease of Use: I prepare this meal once for my dinner at my camp. Firstly, it is quite easy to cook. Just add the boiling water in the bag and keep it for few minutes to get ready. The amount of food in the packaging is enough for backpacking dinner. It is simple to cook, and you don't need extra utensils for eating. Shelf Life: It has total six pouches which you can store in bulk quantity. You get two 1-cup servings in every single bag. The taste of the food guaranteed for thirty years. Nutrition: People who are allergenic to milk, wheat as well as soy should not consume the food. It gives 310 calories along with the 2 gm fiber and 8 gm protein. Ease of Use: It gets prepared in only 8-9 minutes. After adding hot water in the pouch, the food gets ready in less than ten minutes. You can quickly make this freeze dried food. The flavor of the food is delicious. It is a lightweight product for backpacking. It is an expensive product to buy. The amount of water that needs to get added according to the directions is not correct. Shelf Life: You get two 13 oz servings in the packaging of the food. The shelf life of the food is 84 months. It contains rice and red beans that mix with creole sauce. Nutrition: The weight of the dry-freeze food is 6 OZ (170g). The content of the carbs is very high (62 gms) that offers me good energy level after consuming. In half package serving, you get 16 gm fiber and 12 gm protein. Ease of Use: You just have to add two and a half cups of the boiling water in the food. After stirring it well and keep it aside for 13 minutes and the food is ready. It is an inexpensive product to buy. It is gluten-free and a complete vegan freeze dried food. It has high sodium content. The single serving of the food is small for appetite. The beans in the food do not cook well. Are you also buying the freeze dried food for the first time? The simple principle of my life is that if I don't like the taste of my food then, I will not eat it. 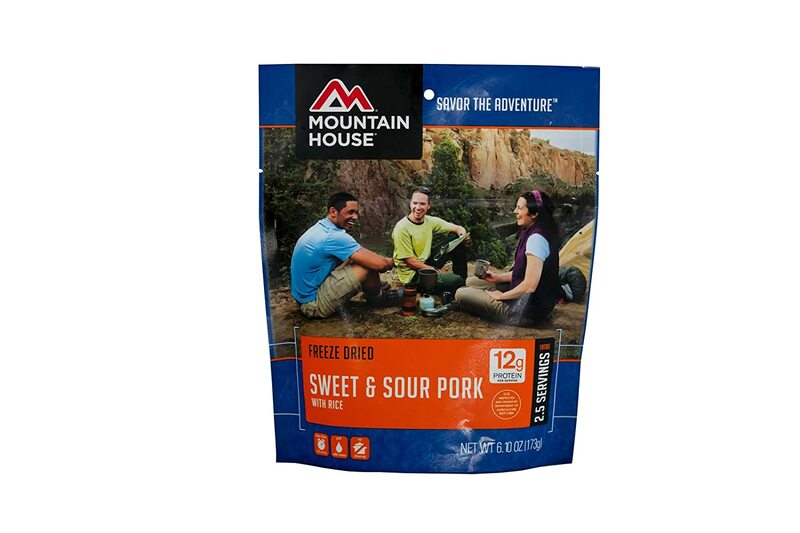 During the backpacking trips, there is no need to compromise on the taste. 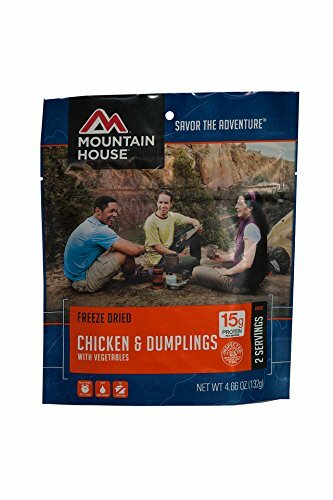 I always give a try to any new freeze dried food at my home before taking it with me on my backpacking trip. It helps me in knowing the exact time of making the food, and I also get assure about the taste of the food. 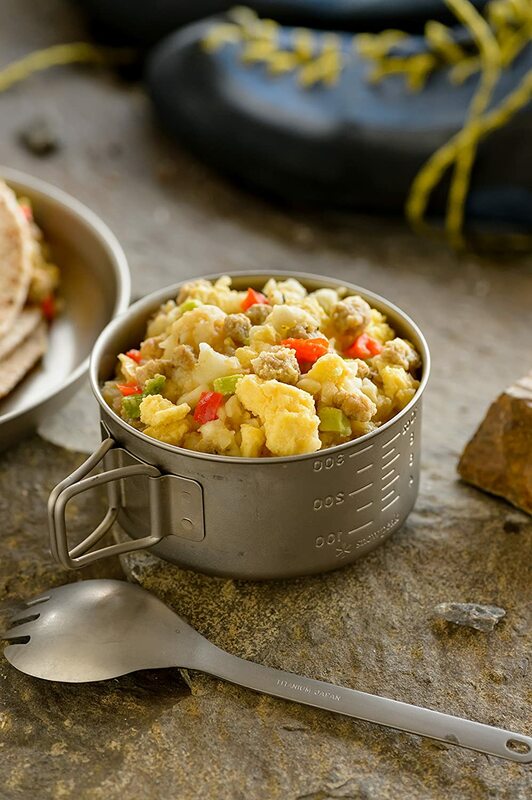 It is essential that you consume the required amount of calories on your backpacking trip. 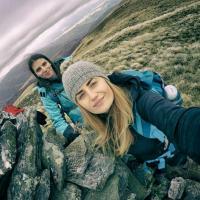 Lots of calories get burn when you do hiking for several days. So, it becomes necessary that you eat the food which offers you the same level of calories to make you energetic at the end of the day. The freeze dried foods are always high in sodium content. Do you know why so? Well! 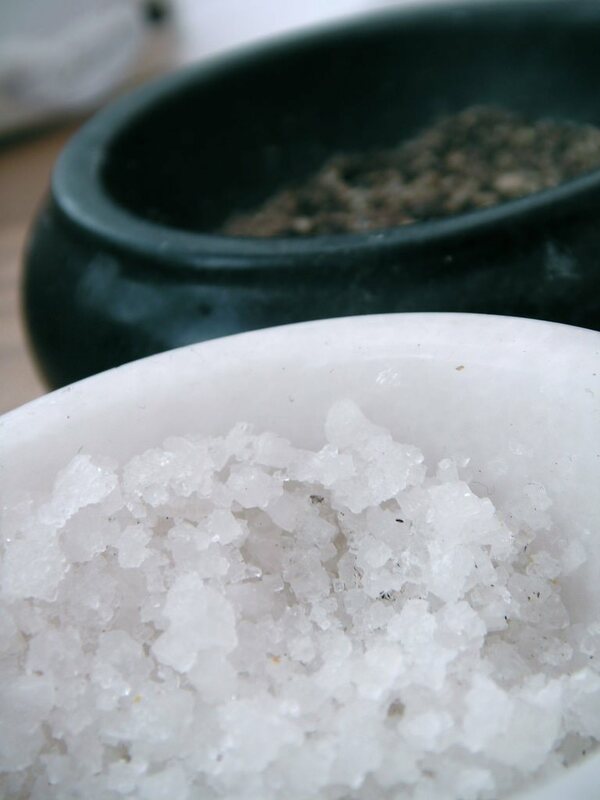 The sodium not only adds the taste to the dried food but also keeps them fresh for longer time. But consuming so much sodium is also not good for our health as it can result in a stroke or heart attack. “According to the agriculture department of USA, humans can eat 2300 milligrams of sodium in one day”. Thus, you should a make a right balance between your high level and low-level sodium intake. 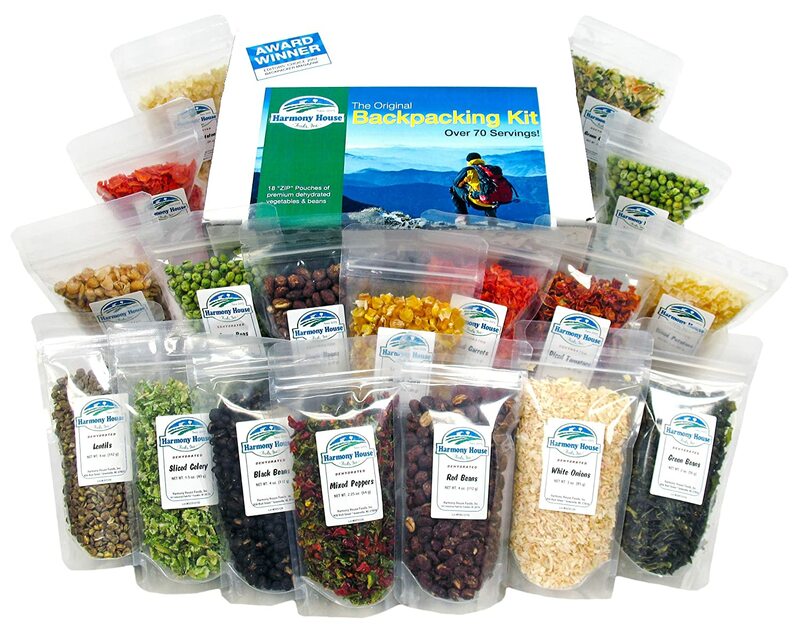 I usually make some freeze dried food at my home without any sodium and carry it along with me on backpacking journey. Protein is one of the vital vitamins which you need during the long duration backpacking activity. It helps you in repairing your muscles which you are using during the traveling from here and there. So, I prefer buying those freeze dried food which has the proper amount of proteins in it so that I can recover any small injury on my journey quickly. The shelf life of the freeze dried food is more than the fresh food in any weather condition. 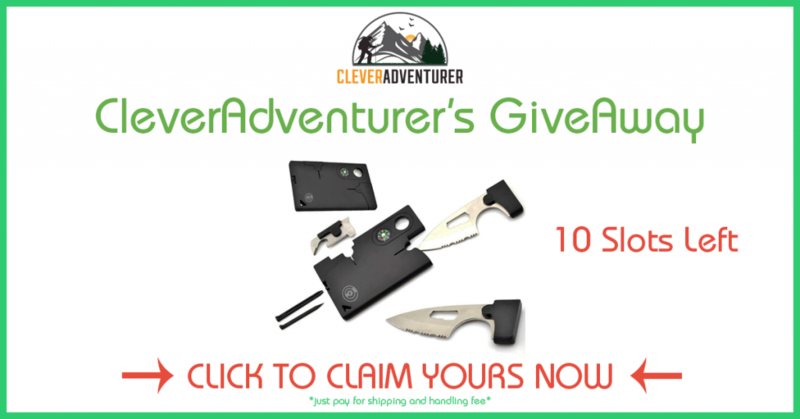 You can use them as the emergency supplies in the longer backpacking period. 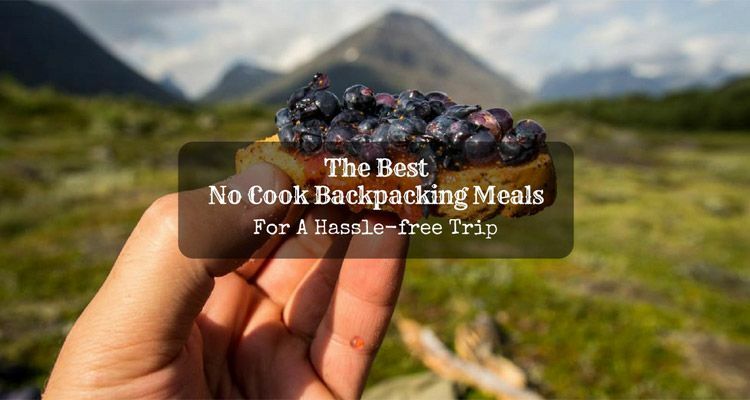 There is no reason to carry the entire backpacking cookware along with you when you have the freeze dried food. 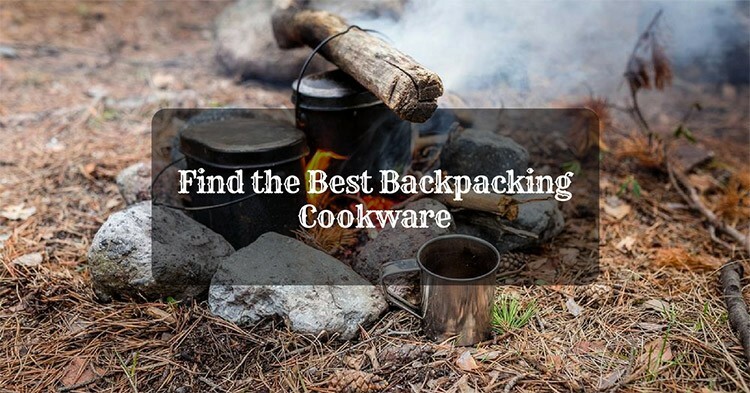 You just have to take backpacking stove for boiling water. 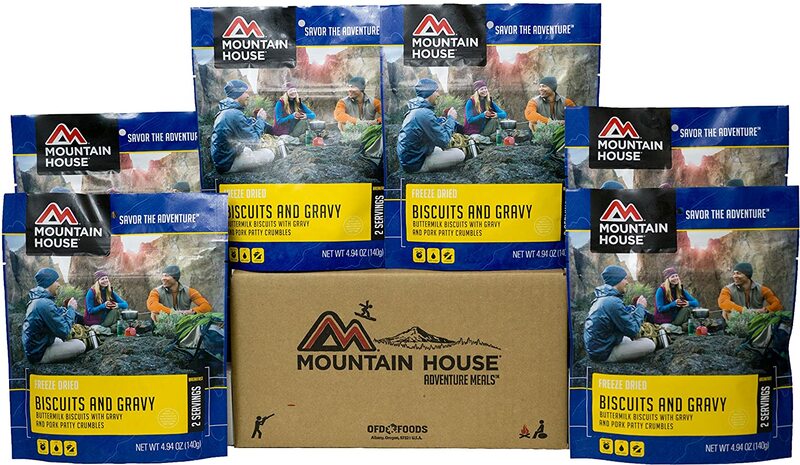 The freeze-dried food is the lightweight thing to carry during the backpacking activity. So, there is no issue of portability also. 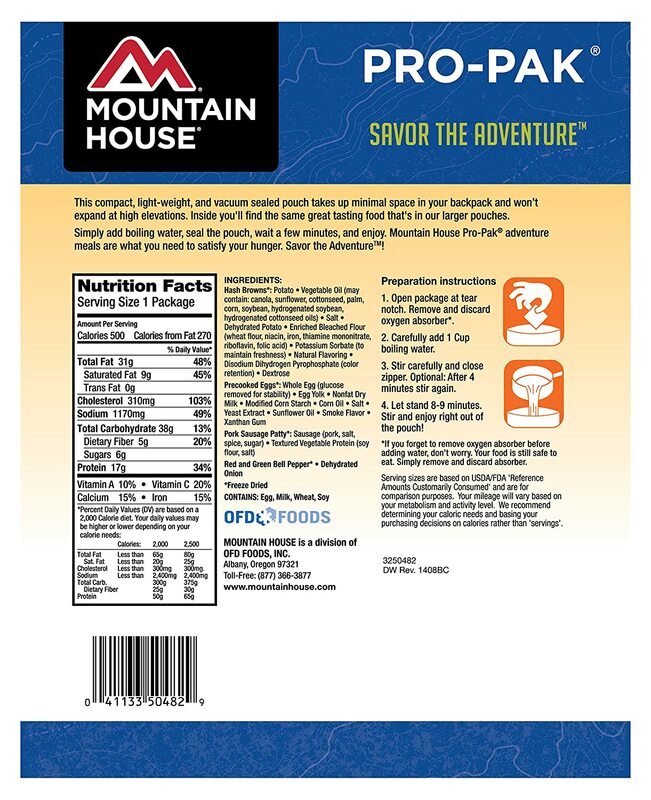 There are lots of reasons that why we should carry the best freeze dried foods during the backpacking trip. It is an instant food which needs almost no time for preparation. We hope that you like the above list of the best freeze dried food which I shared in the above article. My main motive is to provide you the useful info about all the high-quality freeze dried food which you can consider for buying from the market. All the products of the list choose after thorough research and study. So, whatever product you buy, it will surely upsurge your overall backpacking experience. I hope you like the above article and find it useful also. Kindly share your good thoughts and any experience about the article in the below comment box. You can also share it with your friends and relatives. Thanks for reading! Enjoy your journey!